Milk Thistle and Hemochromatosis actually have a bit of a controversy, with mixed reviews and recommendations from doctors, which I will summarize below. I was sad to read this, as my training as an Naturopathic Doctor teaches Milk Thistle is one of the safest and most effective herbal remedies for promoting liver health in all of botanical medicine. But I accepted it at first because I have a great deal of respect for all of her other work. A year or so later, I started to do more research on this particular topic, and what I found was eye opening. Apparently, Dr. Whittington based this conclusion on a single case study of a woman with Hemochromatosis. This 68 year old patient had elevated liver enzymes and a very elevated ferritin (2118), which ultimately led to the diagnosis of Hemochromatosis. This woman also was diagnosed with a number of other medical conditions, including Type 2 Diabetes, Asthma, Hypothyroidism, High Blood Pressure, and Fatty Liver. Also important to note, the patient was in the habit of using 2 Extra Strength Acetaminophen pills every 2 to 3 days and drank soda daily. She was advised to undergo therapeutic phlebotomy to reduce her iron levels. On her own, she had been taking 1 pill (200 mg) of Milk Thistle to address her liver function. Her doctor suggested she stop the Milk Thistle, which she declined to do. After 4 phlebotomies, her ferritin had dropped from 2118 to 865. This was an exceptionally positive response, however her liver enzymes had actually increased. Once again, she was advised to discontinue the Milk Thistle. At this point, the woman did stop her Milk Thistle… and simultaneously stopped both her Extra Strength Acetaminophen and her soda. Four more phlebotomies later, her ferritin dropped even further down to 141 and her liver enzymes were normal again. 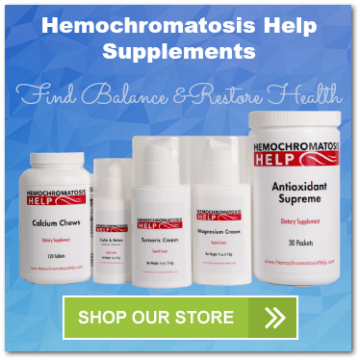 The net result from this published report is that individuals with Hemochromatosis were advised to stay away from Milk Thistle because it could possibly harm them and their liver function. I personally avoided Milk Thistle for at least a year due to this advice. However, over time, something just didn’t click for me. I had seen too many situations where Milk Thistle improved people’s health, so I decided to re-investigate the matter. What first caught my attention was to find that this conclusion was based solely upon a single case study. This important information was not apparent until I researched the situation carefully. The problem is, in science, a conclusion should never be made (good or bad, for or against) upon a single case or one individual. Secondly, I found the woman discontinued the Milk Thistle exactly at the same time as she quit her Extra Strength Acetaminophen (a known hepatotoxin) as well as her soda habit (also detrimental to liver function). This means that there were three separate variables that all might influence her liver function tests. It just didn’t add up for me, so I investigated this controversy a bit more. Fairly quickly, I found several rebuttal articles written by Medical Doctors to the editors of the journal that had published the case study (Canadian Family Physician). As was clearly stated, the patient also stopped taking “2 extra-strength acetaminophen pills every 2 or 3 days” and “a can of cola every day.” The type of cola was not identified, but it seems likely in an obese patient that the cola would be a diet cola, with aspartame as the sweetener. Two extra-strength acetaminophen pills (about 1 g) every 2 or 3 days would seem to be an innocuous dose, at least in a healthy individual. And, despite the early fears about aspartame’s hepatotoxicity, there is little strong evidence that it poses a serious risk, at least by itself. In certain individuals, however, toxicity can be experienced at “therapeutic” doses of acetaminophen of less than 4 g/day. And there is some evidence that aspartame can act synergistically with other food additives to produce neurotoxicity. This brief report is actually not about milk thistle at all; it is about the devastating effects of untreated hemochromatosis. In this tale, the ingestion of milk thistle simply amounts to an inconsequential sidebar. The author notes that her patient’s liver function tests normalized after stopping the milk thistle preparation, coincident with stopping the “moderate amounts of acetaminophen” she was ingesting. Acetaminophen is a known hepatotoxin; I have treated a number of patients in our emergency room for acetaminophen overdose, and our first concern is always hepatic damage. Moreover, I have had patients on recommended doses of acetaminophen (4 g or less daily) who have shown signs of hepatotoxicity. In someone whose liver is already significantly damaged, the presumption that withdrawal of a known hepatotoxin is irrelevant, whereas the cessation of a known hepatoprotective substance is pivotal, stretches credulity beyond the breaking point. I have never seen rebuttal from Dr. Whittington. 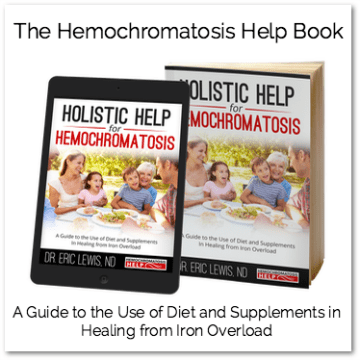 I have a great respect for Dr. Whittington and appreciate all the great work she has done with Hemochromatosis patients and her excellent book. However, I respectfully have come to a different conclusion than she has regarding the use of Milk Thistle in Hemochromatosis patients.